Beautiful white wooden bedside table with 2 drawers and curved legs. 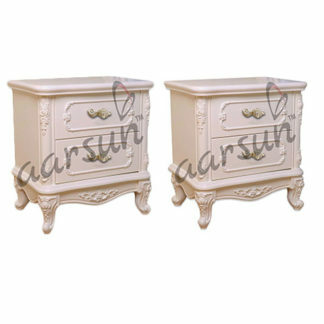 Aarsun Woods brings to you traditional designer Wooden Bed Side Table. Now in whole range of planar and decorative designs in White!! 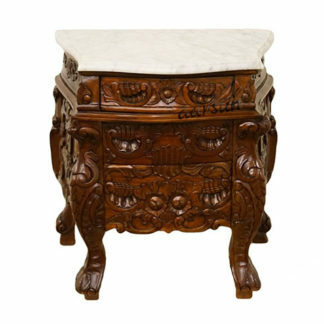 Made by skilled craftsmen in Teak, the bedside table completes the bedroom in style. The wooden bedside table with two drawer and curved legs.This piece of furniture will give a feeling of elegance and stylish wherever it is in the home. It’s a beautiful addition any style of room or other furniture because of its different design.